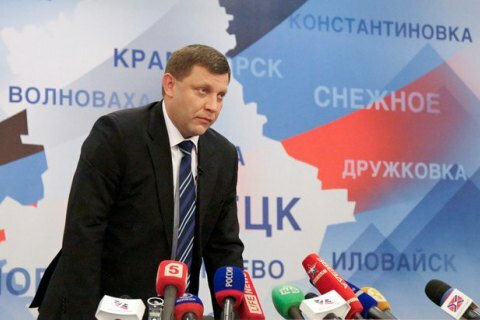 On July 18th in Donetsk, the head of the Donetsk People’s Republic, Alexander Zakharchenko, proclaimed the establishment of the new state of Malorossiya in place of the present-day Ukraine which “has shown its bankruptcy.” This news immediately drew widespread reaction, numerous comments, both encomiastic and critical appraisals, and forecasts voiced not only in Kiev, but also in the West, Russia, and the neighboring Lugansk People’s Republic. What exactly happened on July 18th in Donetsk? What events have and will unfold in the wake of this announcement? In this piece, we will strive to offer our unique commentary and analysis to contribute to answering these questions and others. Founding congress of a new state or political PR? 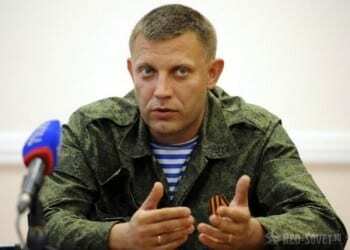 Alexander Zakharchenko, the DPR’s new PM, and a gifted military commander in his own right. According to the head of the Donetsk People’s Republic, Alexander Zakharchenko, what took place on July 18th in Donetsk was a gathering of representatives of contemporary Ukraine’s regions at which the creation of Malorossiya was proclaimed. The congress was attended by delegates from 19 of Ukraine’s regions (not counting Russian Crimea and the former Donetsk and Lugansk regions of Ukraine). The collective opinion of the delegates was that Ukraine as a state can no longer be reformed, hence the proposal to found a new state based on new principles – among which, we should note, is a categorical rejection of Ukrainian Nazism and the Ukrainian oligarchy. These “founders of Malorossiya” dream of building a socially just state with elements of direct democracy. 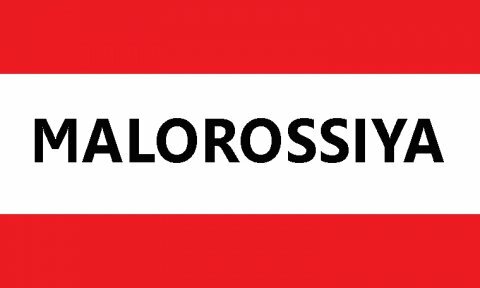 As stated by DPR Minister of Revenue and Duties Alexander Timofeev (the second man in the republic after Zakharchenko himself in terms of influence), the proclaimed Malorossiya will be a federative state with broad autonomy, its capital in Donetsk, and the state flag of Bogdan Khmelnitsky. According to Timofeev, a constitution will be adopted at a popular referendum. The minister also emphasized that the creation of Malorossiya does not contradict the Minsk Agreements. The Constitutional Act on the Establishment of Malorossiya declares that the established state will maintain a non-aligned status but will continue to pursue accession to the Union State of Russia and Belorussia. The document also enumerates the social policy of the new state in considerable detail, emphasizing struggling against oligarchy, developing people’s control in the economy, establishing state concerns, etc. The founding document also declares that elements of direct democracy will be introduced alongside criminal liability for propagating the ideas of Ukrainian Nazism and its collaborators (OUN-UPA, etc.). In other words, at the heart of the “constitution” of the still virtual Malorossiya are principles which lie at the heart of the Donetsk and Lugansk People’s Republics. 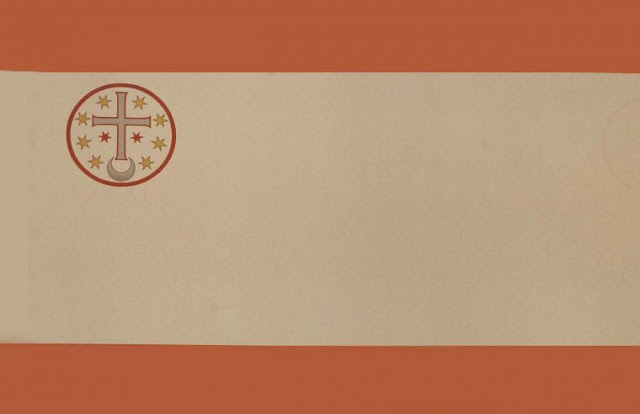 In order to appropriately understand the meaning, context, and packaging of the proclamation of Malorossiya and such subsequent expressions, let us first recapitulate for our readers the historical background of the name and region in question. Malorossiya (literally translated: “Little Russia”) is the historical name of part of contemporary Ukraine (minus the westernmost, easternmost, and southernmost regions) at the time of its belonging to the Polish-Lithuanian Commonwealth and Russian Empire. The term first appeared in approximately the 14th century in the correspondence of the Orthodox Patriarch of Constantinople (to whom the Metropolitan of Kiev was subordinate) and was used to refer to the Russian lands that had fallen under the control of the Grand Duchy of Lithuania and then the Polish-Lithuanian Commonwealth. “Great Rus”, on the other hand, was used to mean the lands of the north-eastern Russian principalities which later formed the core of the Russian (Muscovite) state. It is believed that this terminology originated in the works of the Greek hierarchs of the Church of Constantinople as a kind of analogy for “Little” and “Great” Greece during the latter’s colonization in antiquity. The name “Ukraine” (literally translated: “borderland”, “frontier”, or “province”) appeared around the 17th century and referred to the lands of three Russian provinces within the Polish-Lithuanian Commonwealth. However, the name did not enjoy wide employment until the 19th century, previously having referred to any of the region’s borderlands. The very word ukraina was not capitalized and did not denote a specific country, but rather a “distant border region” lying on the border with the steppe in which the khanates and nomadic Tatars prevailed. Both medieval and early modern Polish chronicles and Russian annals mention a number of “ukraines”. For example, Russian state servants’ correspondences even mention a Siberian ukraina. The inhabitants of “Polish ukraine” (i.e., Malorossiya) called themselves Russians and in Vatican documents were called “Rusyns” or “Ruthenians.” Rather characteristically, the inhabitants of the Western part of contemporary Ukraine, known as Galician Rus, who were for several centuries cut off from the rest of the lands of Kievan Rus, even called themselves “Rusyns” up to the beginning of the 20th century. After the bloody Russo-Polish wars of the mid-17th century, a portion of the Russian lands under the Polish Commonwealth were granted rights of autonomy (later reneged) within the Russian Tsardom and later Russian Empire. The residents of the Malorossiyan provinces of the Russian Empire were believed to be just as Russian as the people of the Great Russian provinces (which currently comprise the Russian Federation). The terms malorosy (“Little Russians”) and velikorosy (“Great Russians”) were sometimes used to distinguish ethnographic distinctions within the Russian people. Thus, Malorossiya has always been considered part of the territory inhabited by the Russian people, differing only by virtue of ethnographic and cultural-historical particularities. The project of creating an independent Ukrainian state and ideology for a separate people, “Ukrainians”, began only after 1917. It is characteristic that this ideology was originally forged by Polish emigrants and local Malorossiyan separatists (the most famous of whom is the icon of the Ukrainian nationalist pantheon, the poet Taras Shevchenko) and was adopted as a weapon by the Bolsheviks in Moscow who, paradoxically, were advocates of political centralism. During the decades of Joseph Stalin’s rule, all education in the Ukrainian Soviet Socialist Republic (including the Russian-speaking and Russian-inhabited Donbass) was held in Ukrainian. Nonetheless, over the whole Soviet period the overwhelming majority of Ukraine’s inhabitants continued to speak Russian with the exception of barely literate villagers, and the residents of the small towns of Western Ukraine (formerly dominated by Polish and Jewish populations) spoke in local dialects sometimes completely incomprehensible to the inhabitants of other regions. The developed industrial cities of the East and South of Soviet Ukraine and the residents of the capital, Kiev, spoke only Russian, and in terms of language and mentality hardly differed from the residents of cities in Russia. As a native of Donbass who finished school in Ukrainian, I can confirm that I almost never heard the Ukrainian language spoken outside of Ukrainian language and literature classes. However, despite the fact that the vast majority of the Ukrainian SSR’s population spoke Russian, the Moscow-based communist government consistently sought to develop science and education in the Ukrainian language. For example, it was almost impossible to purchase fiction literature in Soviet Ukraine in Russian, whereas Ukrainian-language books were widely available. Without a doubt, the Ukrainian language lost the competition with the richer and more developed Russian language, and without Moscow’s support would have long ago disappeared from the scene, i.e., become a linguistic relic. In post-Soviet Ukraine, authorities were compelled to support the Ukrainian language in order to support the bare minimum notion of a Ukrainian nation separate from the Russian people. But even though the Russian (Muscovite) communists always supported the Ukrainian language, the government of independent Ukraine pursued repressive policies against the Russian language. As is well known, the first legislative act of post-Maidan Ukraine was abolishing the relatively liberal law on language. Thus, the restoration of Malorossiya is not only a political program for overthrowing the oligarch-Nazi Poroshenko regime. It is a cultural program for rehabilitating the brotherhood between Russians and Ukrainians. It is in this vein that the organizers of the congress in Donetsk on July 18th spoke of a “return” to the pre-1991 situation before the collapse of the USSR. 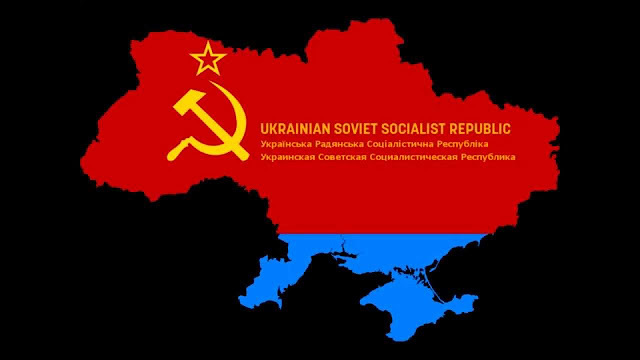 In other words, they have proclaimed a program for recreating the Soviet Union within the borders of the three Slavic republics: Russia, Ukraine (Malorossiya), and Belarus (Belorussiya). How this alternative could manifest itself in a concrete political project and just who could be behind such – we will turn to these questions in the following installment. Eduard Popov, born in 1973 in Konstantinovka, Donetsk region, is a Rostov State University graduate with a PhD in history and philosophy. In 2008, he founded the Center for Ukrainian Studies of the Southern Federal University of Russia in Rostov-on-Don. From 2009-2013, he was the founding head of the Black Sea-Caspian Center of the Russian Institute for Strategic Studies, an analytical institute of the Presidential Administration of Russia. 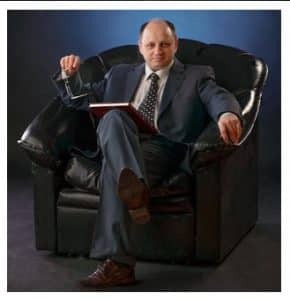 In June 2014, Popov headed the establishment of the Representative Office of the Donetsk People’s Republic in Rostov-on-Don. He has actively participated in humanitarian aid efforts in Donbass and has been a guest contributor to various Donbass media, such as the Lugansk-based Cossack Media Group. Popov has been Fort Russ’ guest analyst since June, 2016.